Introduce books and reading at infancy. It’s never too early to start reading to your children. 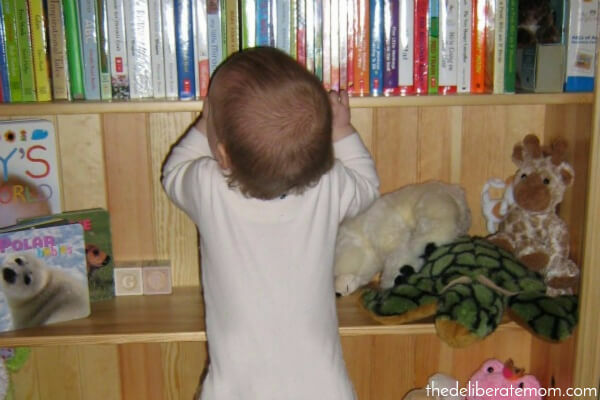 There are so many types of books that are especially made for infants. From board books to cloth books, the selection is great! Read daily to your infant. Let him/her interact with books. Whether your child holds the book or chews the book, their interaction with books is critical to building an interest in reading. It’s important that your child has books that he/she can call his or her own. There are cost-effective ways to do this as well. – Books can be purchased second-hand from a used book store. – Consider having a book registry instead of or in addition to a baby registry. – Request that people attending your baby shower bring you a book to help build your library. – Ask friends or family who have older children if they would consider selling/donating their old books to you. – From the moment you find out you’re pregnant, make a commitment to buy at least one book every month and before you know it; your child’s library will be overflowing! – Request books as gifts. Sometimes the amount of gifts for birthdays and/or Christmas can be overwhelming. Provide family and friends with a book list so they can contribute to building your child’s library. Read the book from front to back. Your child will only understand the value of words if you read them. Read the title of the book. Read the author’s and illustrator’s names. Do not change text, read the book as it is written. Encourage your child to be an engaged listener. Repetition of the story helps your child understand the link between the text and the story that is being told. My daughter had memorized her first book shortly after she turned two. She was able to do this because we read that book repeatedly to her. Even if you’re bored with reading the same story over and over again, if your child wants it… read it! Too many books at the same time can be overwhelming. Our family has a shelf full of cardboard magazine file boxes. Each file box has ten to fifteen various children’s books in it. We purposely divided up the books so that each box would have a variety of picture books, at least one book on emotions (e.g. Bear Feels Scared), a numerical book (e.g. Click, Clack, Splish, Splash) and an alphabet book (e.g. Chicka, Chicka, Boom, Boom). Every couple of weeks we put out a new file box of books. This rotation and variety keeps us and our daughter interested in the books. Bring your child to the local library. Some libraries have group reading times that parents can attend with their children. This will provide an opportunity to hear stories as told by a different adult. Also, you and your child will get exposure to a variety of books that you otherwise would not have considered. Also, while at the library, allow your child to select a couple of books that you can borrow. Investigate what experts say are the best books to read. Libraries and literacy groups regularly publish lists of the top books for children at different developmental stages. Investigate these lists and the book recommendations. Demonstrate your own interest in reading. Perhaps you can allocate 10 – 20 minutes of family reading time every night. During this time, family members gather in a room and read their own respective books. Include books in your child’s play. If your child is showing an interest in toy cars, perhaps you can provide a few interesting car books in their play space. There are some great resources available to parents and early childhood educators to help them extend the enjoyment of a book into various play activities. My personal favourite is Picture Book Activities: Fun and Games for Preschoolers Based on 50 Favorite Children’s Books by Trish Kuffner. Literacy is the foundation of future education. I hope that these tips help your family develop a love for reading. I know you’re a HUGE reader Janine! It’s not surprising you create an atmosphere for appreciation of books with your girls. Those are all great tips. I actually started with Madison as an infant and she just loves it now. We read almost every day and it’s something that she looks forward. Her love of reading is what I just love about her. It sounds like you’re a big reader! I’m delighted that you found these tips helpful Narissa! I have no idea why there is “Change” at the end ;)). Yes i’m a fan of comic, novel when i was a kid. Thank you so much Chris! I’m delighted you found this helpful – and I appreciate you sharing in your community. Scarlet got her first library card on Saturday and she was SO EXCITED. Suddenly it’s books everything with her. And Des too! I’m so glad we started early and that they have always truly seen my love of reading. 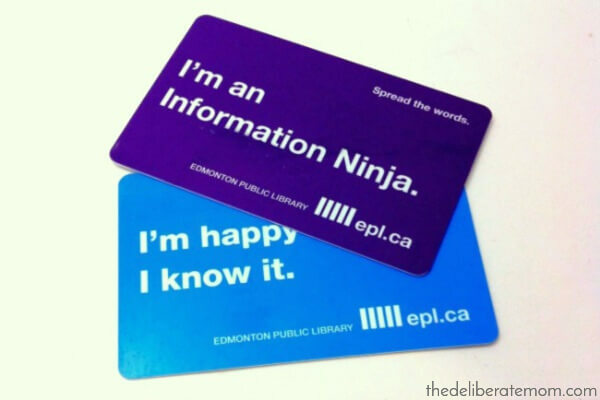 That first library card is a BIG deal! So awesome.